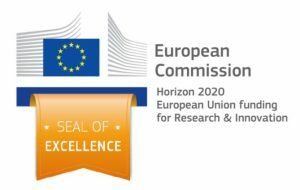 In a highly competitive process, VirtualMedSchool received the prestigious Seal of Excellence from the European Commission managing Horizon 2020 program for research and innovation 2014-2020. An international panel of independent experts evaluated VirtualMedSchool as a high-quality project proposal recommended for funding. The Seal of Excellence is a quality label which identifies promising project proposals which merit funding from alternative sources (public or private), i.e. national, regional, European or international. Horizon 2020 is the biggest EU Research and Innovation Program ever. The program identifies and supports breakthroughs, discoveries and world-firsts by taking great ideas from the lab to the market. Horizon 2020 is the financial instrument implementing the Innovation Union, a Europe 2020 flagship initiative aimed at securing Europe’s global competitiveness.